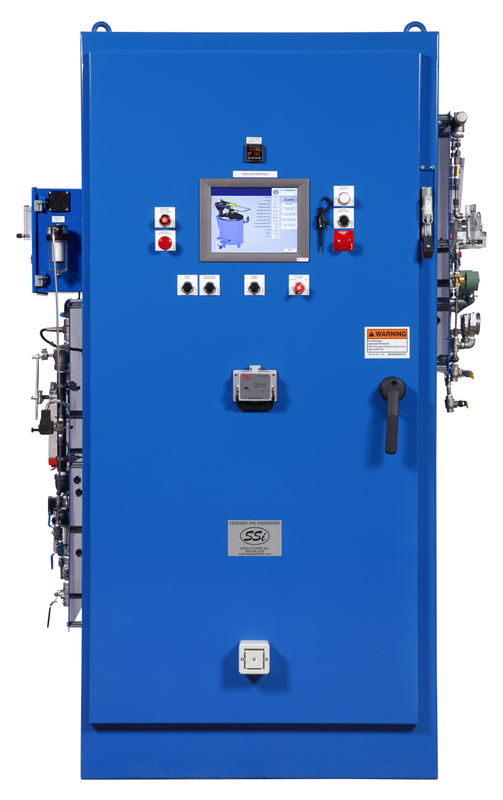 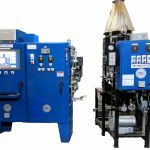 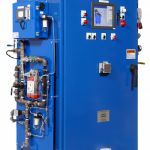 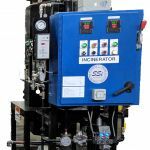 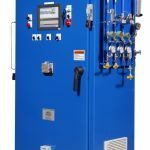 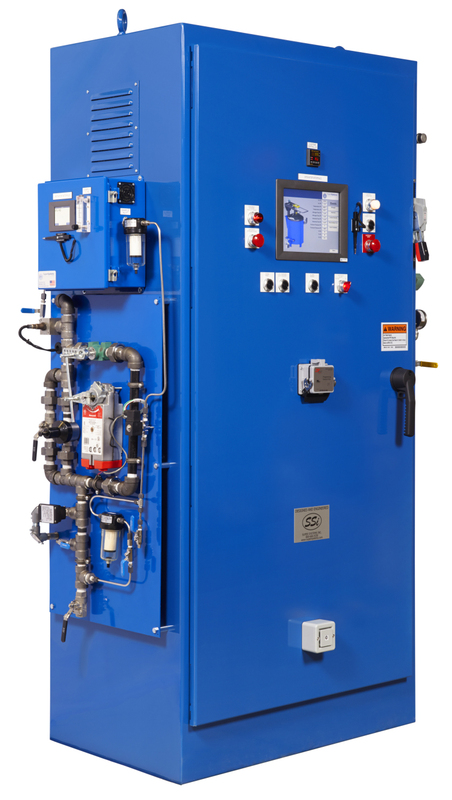 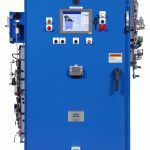 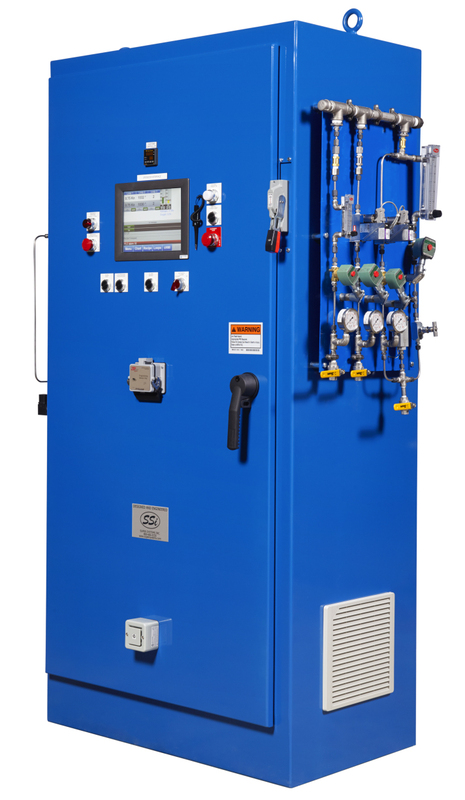 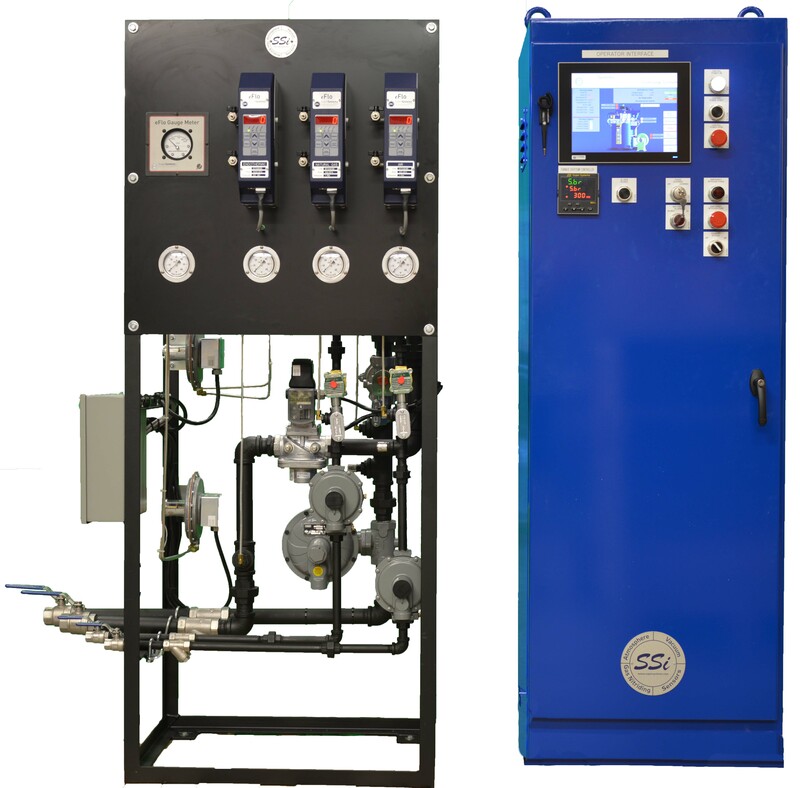 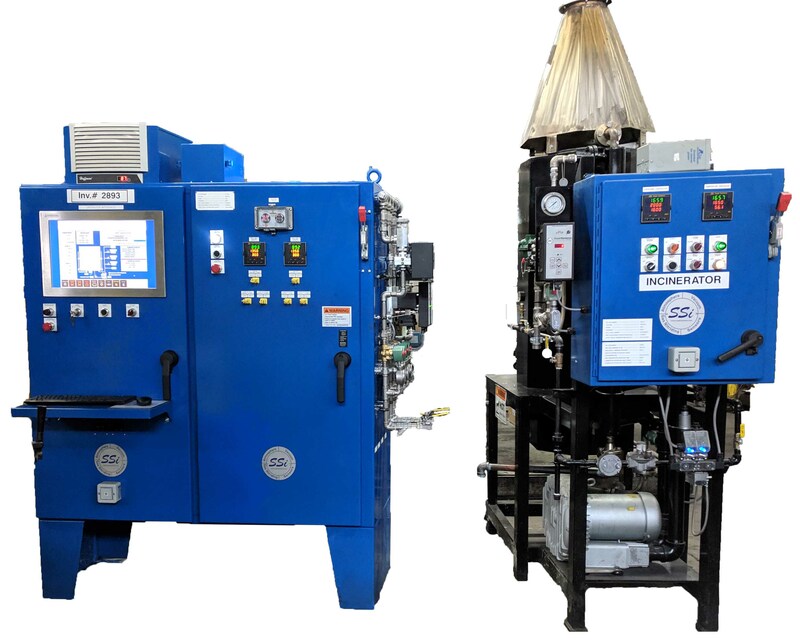 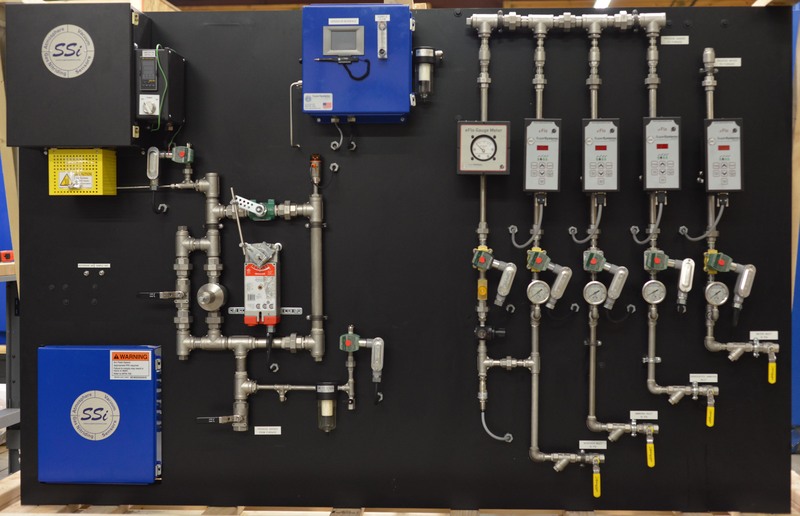 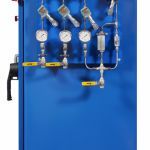 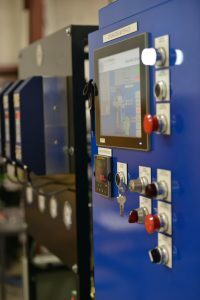 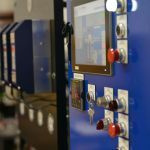 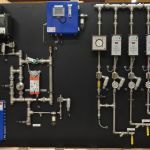 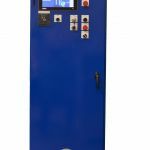 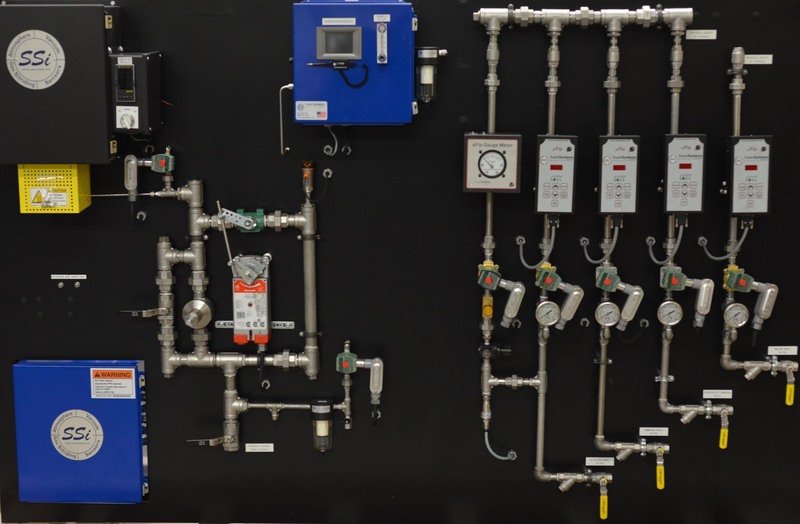 SSi Nitriding Control Panels are designed for new and existing furnaces. 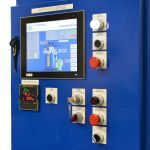 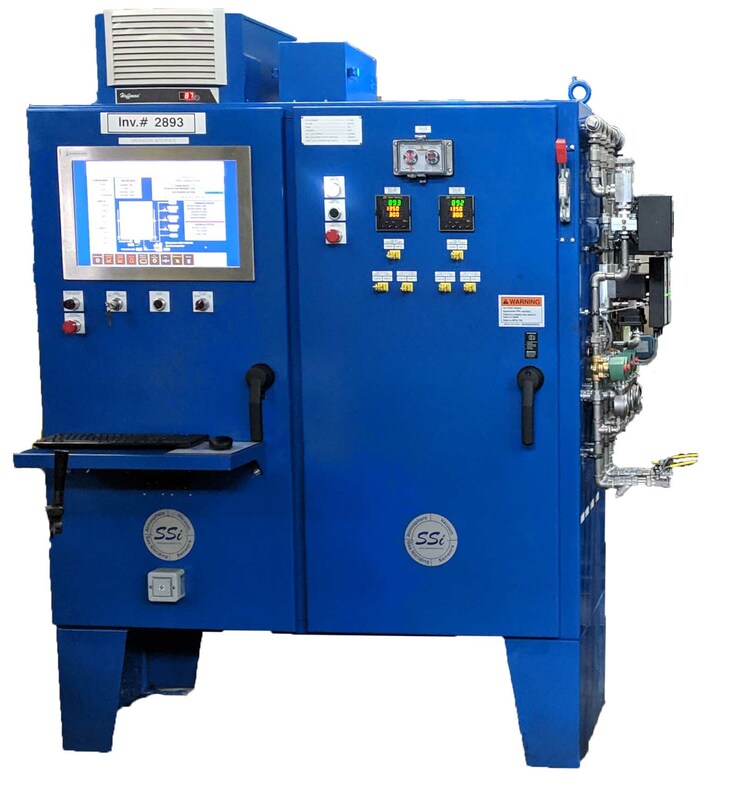 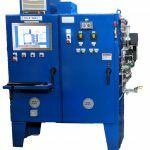 The control panel includes all the necessary components to meet sophisticated FNC and Nitriding specifications including AMS2759/12. 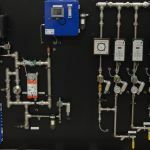 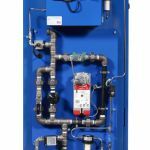 All panels are designed to the latest editions of the National Fire Protection Association (NFPA) and National Electric Code (NEC). 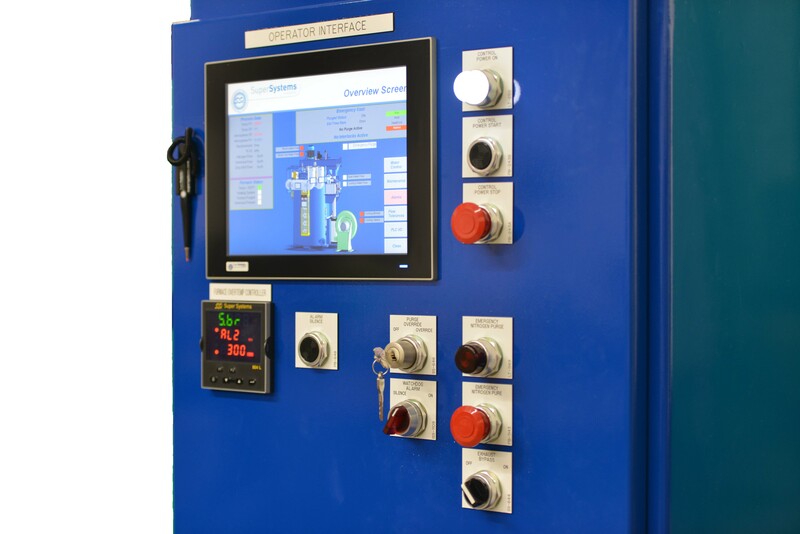 Control panels include electrical and flow control components. 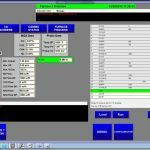 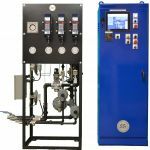 The SSi Model 9215 FNC/Nitriding Controller will control the percent DA & KN and furnace temperature along with an interface to the HMI. 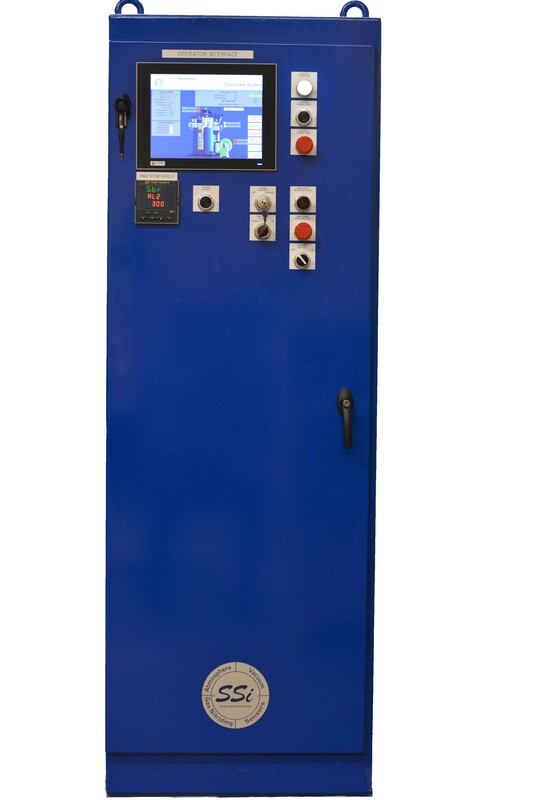 Each control system includes complete recipe control and electronic data logging. 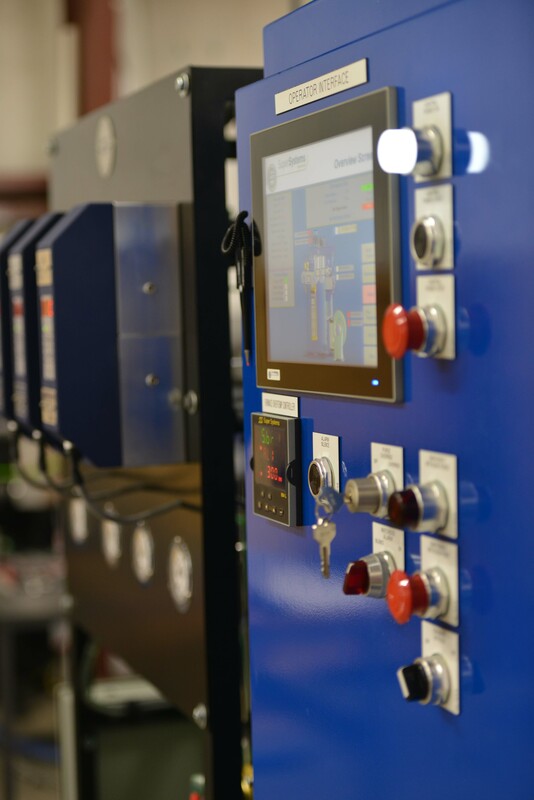 The control systems are designed to meet your needs based on future or existing furnace design. 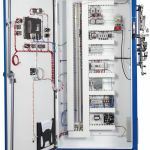 Panels are designed specifically for furnace and atmosphere necessary. 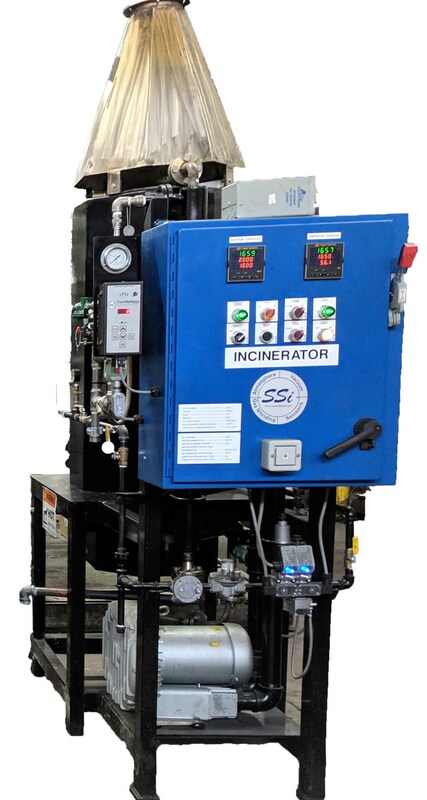 Common specifications include the following. 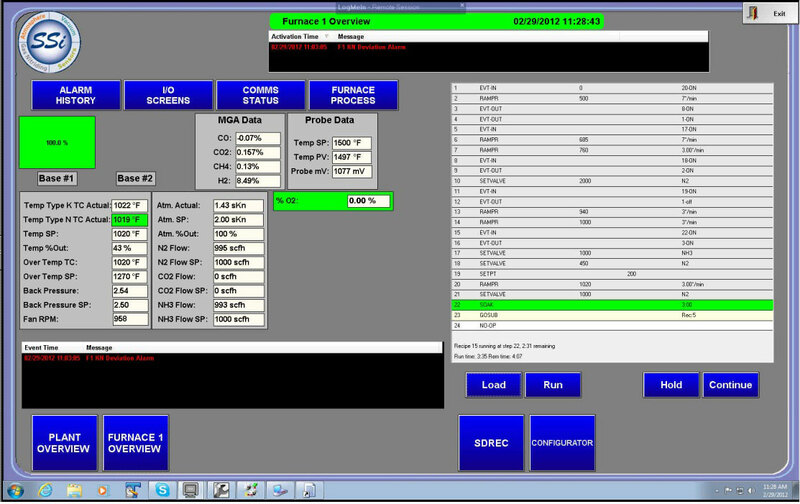 Customizable HMI with built in data logging. 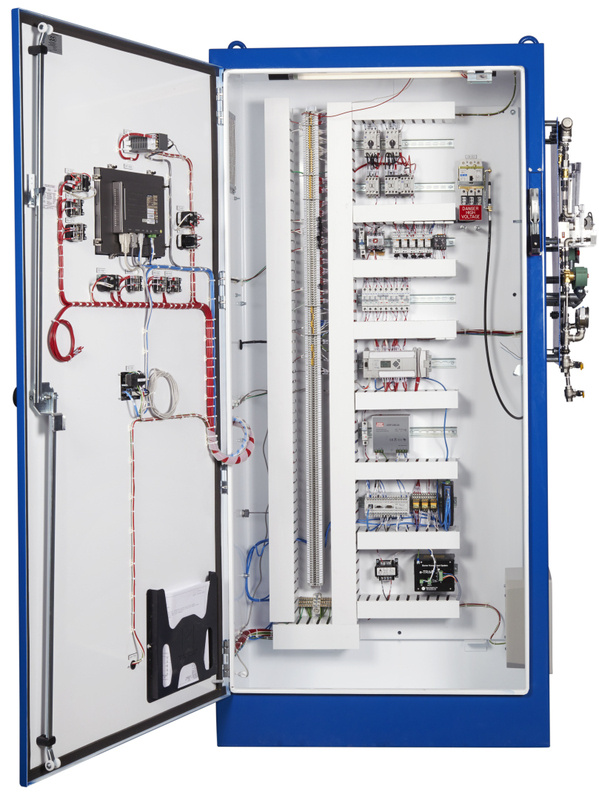 Meets AMS 2750 E requirements.